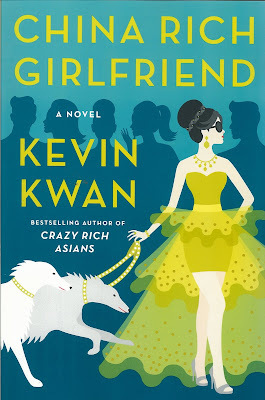 I read “Crazy Rich Asians” by Kevin Kwan last year and loved it. It was a little “celebrity dramatic” for me, but I still loved the characters, details, descriptions, and the overall story lines. I didn’t have any idea there was a sequel coming out. Crazy Rich Asians was so well wrapped up! But when I saw China Rich Girlfriend on my friend Jude's Instagram feed, I scrambled out to grab it because I was sure I would love it. I generally don't like giving a synopsis of books after the first in a series because it's gets harder to do without spoilers. 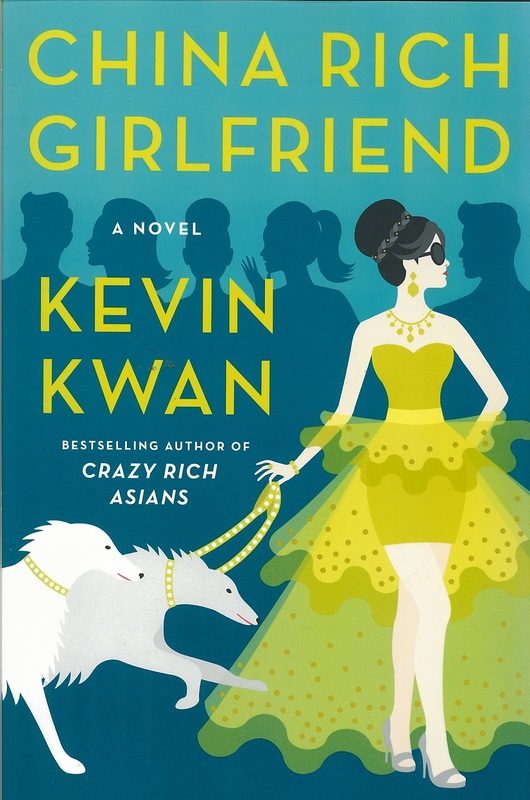 So I'll just say that Kwan continues this hilarious satire with all the over the top spending and lifestyles you read about in Crazy Rich Asians. I absolutely love Nick, Rachel, Astrid, and Kitty. (I love how Kwan develops all his characters) I loved continuing their stories in CRG and I liked the direction that Kwan took their stories and character arcs. I think part of the reason I love these books is because they are like Fantasy Fiction to me. You follow the lives of some of the most wealthy people on the planet. People who don’t even think twice about dropping MILLIONS on a single item, who own decked out private planes, have access to couture clothing before it comes out… And you get to see the different ways that wealth affects each person. Kwan fills this book with entertaining and informative footnotes, that initially took a minute to get used to, but once you get used to it, it really adds to the story. Anyway, if you like a lot of drama, designer fashion, Chinese food (omg, the foooood in this book) and reading about what it would be like to drop several million dollars a day before lunch, this is a fun read. After all that drama, I’m glad for my regular life. ha.